HP India invites applications from post-matric school students and undergraduates belonging to economically weaker sections of the society for the HP Udaan Scholarship Program 2018-19. Just follow the below steps to apply for the HP Udaan Scholarship Program 2018-19. Step 1 : Go to the ‘HP Udaan Scholarship Program 2018-19’ application link. 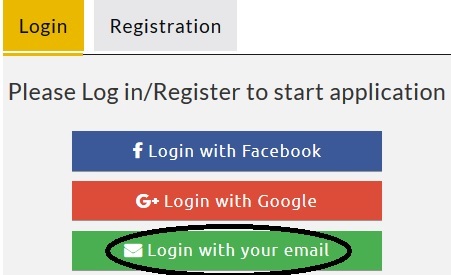 Step 2 : Login/Register using Facebook, Google Plus or Email account. Step 3 : Once signed in, click on ‘Start Application’ to start filling the form. 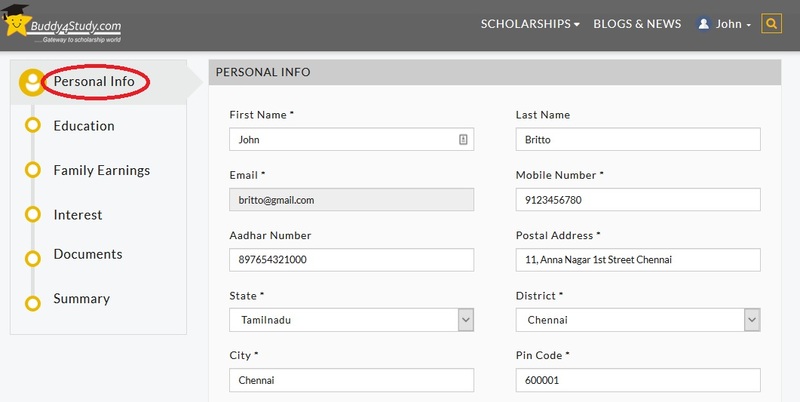 Step 4 : Fill in all the details and upload the required documents. Step 5 : Finally, click on ‘Submit’. 1. Are there any seats reserved for girl students? Yes. 50% of the total 750 seats are reserved for the girl students. 2. Is the HP Udaan Scholarship Program specific to any particular region? No. The HP Udaan Scholarship is a pan-India program. So, students belonging to any state of the country can apply for this scholarship. 3. I have received admission for a 4-Yr B.Tech course. Will I be eligible for the scholarship? Unfortunately, the scholarship for undergraduate students is only open for 3-yr courses, and so those enrolled in professional courses that exceed 3 years are not eligible for the scholarship. 4. What is the scholarship amount offered to students under this scholarship scheme? The benefits offered under this program vary depending on the qualification of the applicant. The students can avail a scholarship of up to INR 30,000 under the HP Udaan Scholarship. I have completed intermediate with 87 percentage. Now I am studying degree first year in Government college. Am I eligible for this scholarship? I have passed 10th with 78 percentage and now studying in 11th class with PCM. Am I eligible for this scholarship? I am studying Degree 1st year. Can I apply for scholarship?